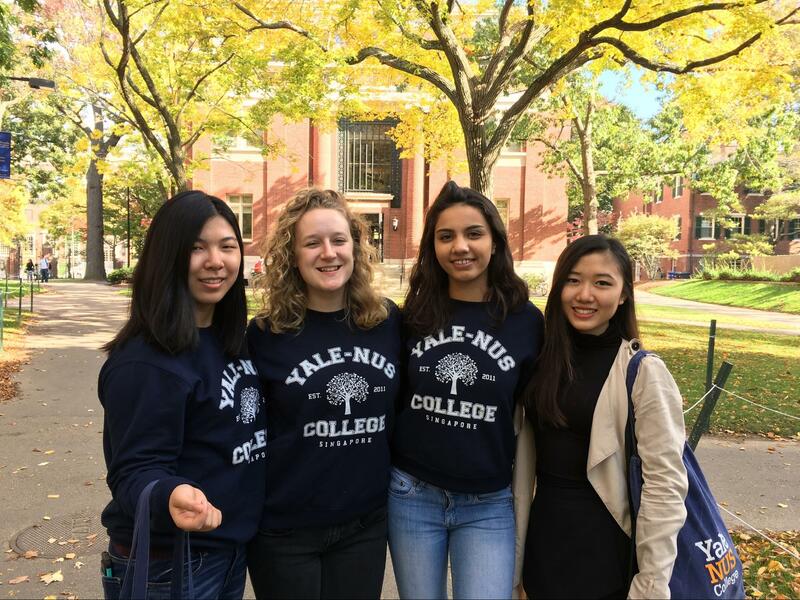 On Friday, October 14th, four female students travelled to the United States to attend the Intercollegiate Business Convention (IBC), hosted by Harvard Undergraduate Women in Business. The IBC included workshops, an innovation competition at the Harvard Innovation Lab and keynote speakers including Marne Levine, Chief Operations Officer (COO) of Instagram. The event aimed to build a global support network and community of empowerment for collegiate women, by bringing together young women from across the world who share a passion for business. This is the first time Yale-NUS College has been represented at the Convention. Betty Pu ’20 led the delegation, which consisted of Sonal Kumar ’20, Chandler Beyer ’20 and Minsoo Bae ’20. The trip was organized by the four students, who sourced the opportunity themselves and established contact with the Harvard student organization. Pu hopes to start a Women in Business chapter, a group dedicated to encouraging female representation in the corporate world, in Singapore. This is the first time that Yale-NUS College has been represented at the Intercollegiate Business Convention in Boston. “Betty, Sonal, Minsoo, and I embarked on a 30-hour journey to attend the Intercollegiate Business Convention hosted by Harvard Undergraduate Women in Business. Every minute [we spent] adjusting to the time zone, attempting to finish our readings, and prepping for the IBC was more than worth it. Our first day of the three day (sic) was on Friday, October 14th, where Betty and I attended the International Women in Business meeting held at Adams House on the Harvard campus. As attendees, we met with female business professionals as they provided us with insights, advice, and words of encouragement. We were given the opportunity to network with the other attendees from some of the top universities in the world, coming from countries as far as Colombia and Australia. These attendees helped provide us insight into how they run their Women In Business (WIB) organization at their university. Shortly after the farewell remarks, Betty and I (thanks to my friend Will at Harvard!) 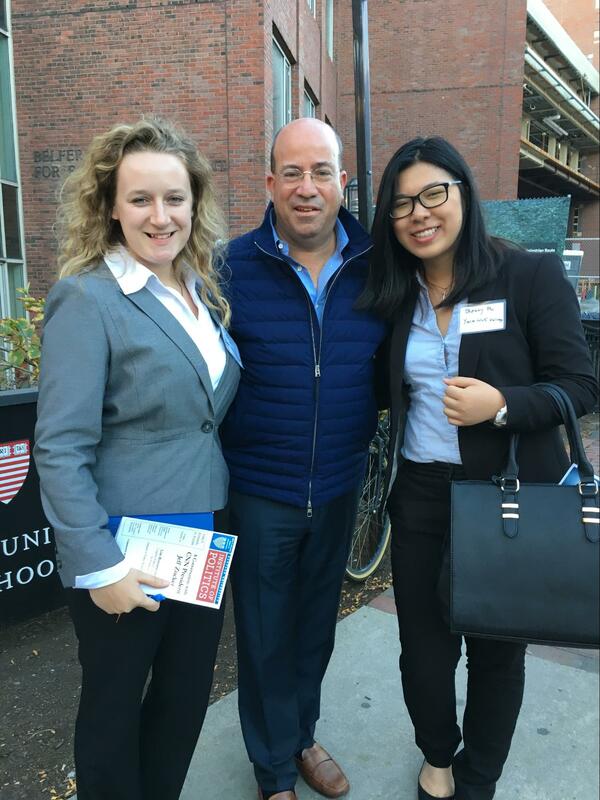 attended an interview of CNN president Jeff Zucker hosted by Harvard’s John F. Kennedy Jr. forum. 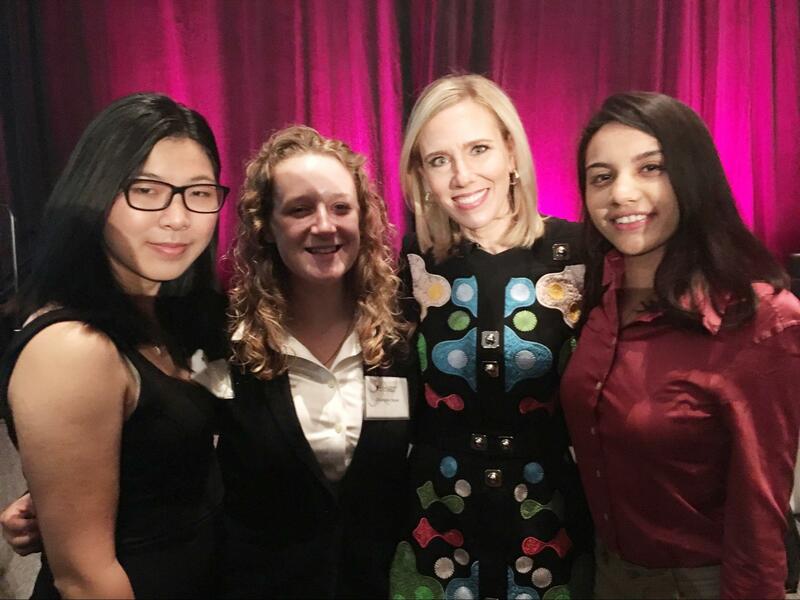 The students with Marne Levine, Chief Operating Officer of Instagram. After his interview, Betty and I had the privilege of meeting Zucker, and after introducing ourselves as students from Yale-NUS College, we were greeted with a smile and affirmation that he knew our great university in Singapore. 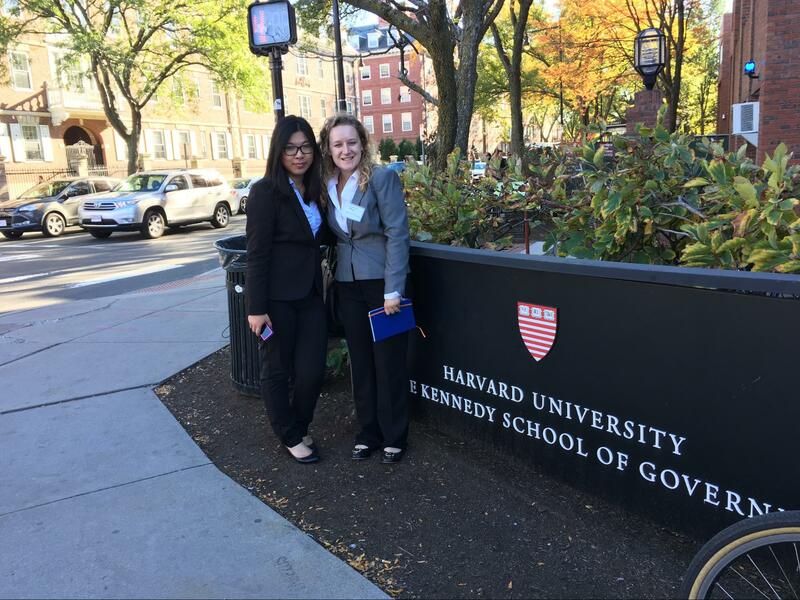 Chandler and Betty visited the Harvard Kennedy School of Government as part of the Convention.